Trip Cost: $6,700 per person/double occupancy for the land based portion of the trip staying at 5-star luxury properties. Final Payment is due 120 days prior to start of trip. A reminder notice will be sent to the email provided. Note: If paying by credit card there is an additional charge of 3.5% added to the trip price. Would you be interested staying at 4-star properties with a reduced trip price? The following trip is currently be offered by Villas-and-Vines Travel. Once the reservation form has been submitted, you will need to submit your deposit of 50% in order to hold your reservation. Reservations are not confirmed until the deposit has been received. 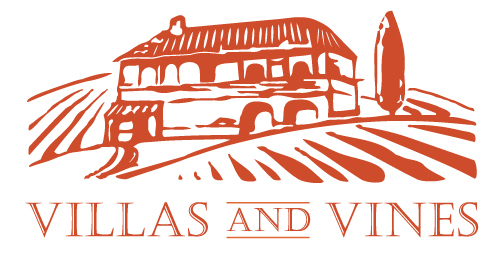 Villas and Vines Travel is an affiliate with Strong Travel Agency based in Dallas, Texas. Bookings with ABC Travel Logic, dba Villas and Vines are accepted only in accordance with the Terms and Conditions set out below. In these Terms and Conditions references to you and your include all persons on whose behalf a booking is made (or any of them). Travel insurance is not included but recommended to protect your travel plans and keep you safe while traveling out of the country. If travel insurance is purchased within 21 days of the initial trip deposit, pre-existing medical conditions are waived when the full trip cost is insured and the traveler is medically able to travel at the time of plan purchase. Please check with your insurance provider to make sure you have the appropriate coverage when out of the country. Yes No Maybe Travel Insurance is quoted based on your age, trip cost, and place of residence. We will email you with a quote. Would like like assistance with airline flights? If available would you be interested in a room upgrade? Yes No For an additional fee, you may be able to upgrade your room for an additional cost. If you select yes or maybe, you will be contacted for additional information. Do you have any allergens or medical conditions we need to be aware of? Do you have any medical conditions or allergies we need to be aware of?